Crowding is a lack of space for all of the teeth to fit properly in the mouth. 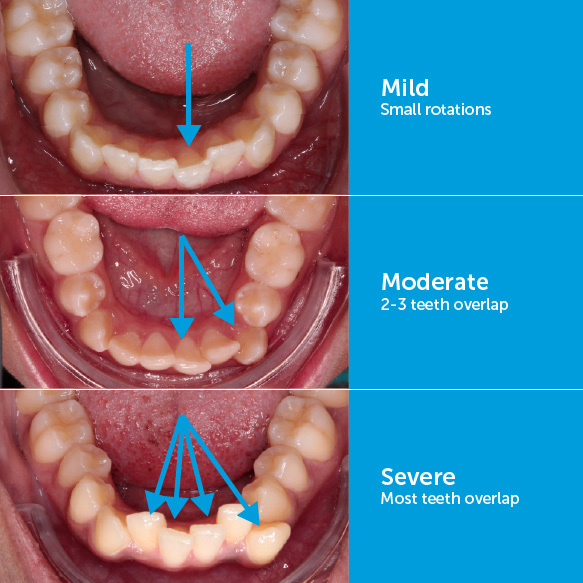 Parents can see if their child has crowding by looking for twisted teeth, overlapping teeth, and high “fang” teeth. Many parents already have a sense of what is causing their child’s crowding. You may already know, too. Small jaw size will look like the upper jaw is too narrow. This is also seen in children with a crossbite or a constricted airway. Large tooth size will look wider than usual and could be called “buck” teeth. 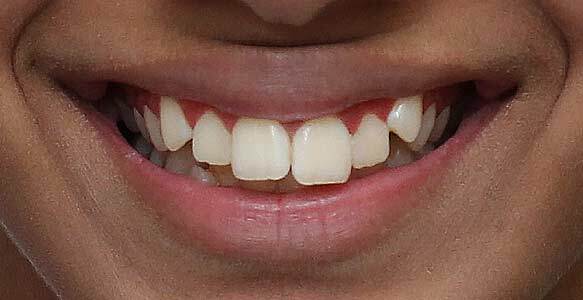 Extra teeth can look like "double" teeth when a baby tooth doesn't fall out before the adult tooth comes in (above). Or it can be seen on an x-ray when an extra adult tooth develops (1-2% of population). Because of the way children grow after age 7, crowding gets worse as they get older. 1. 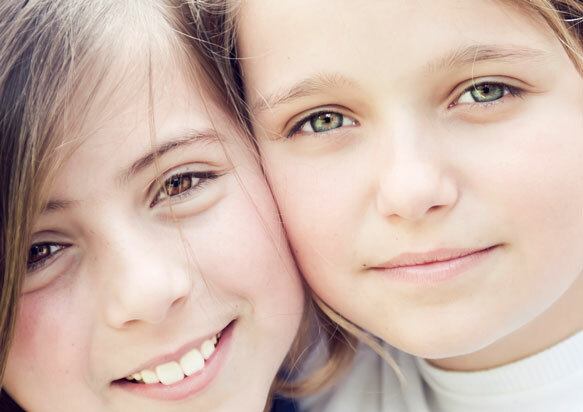 Appearance of the teeth in their smile - crowding can make children feel uncomfortable smiling in public because of the unevenness of the teeth. Your child may not feel this way, but some feel embarrassed by their teeth in school. 2. Impacted teeth - without space, teeth can stay stuck under the surface of the gums in the jaw. This can cause problems with jaw pain and risk the health of the teeth. 4. Infections - overlapping teeth allow bacteria to get trapped which can infect the teeth and gums. Treatment for crowding is available. And you will want to learn the right age to check your child’s crowded teeth because the timing is important.